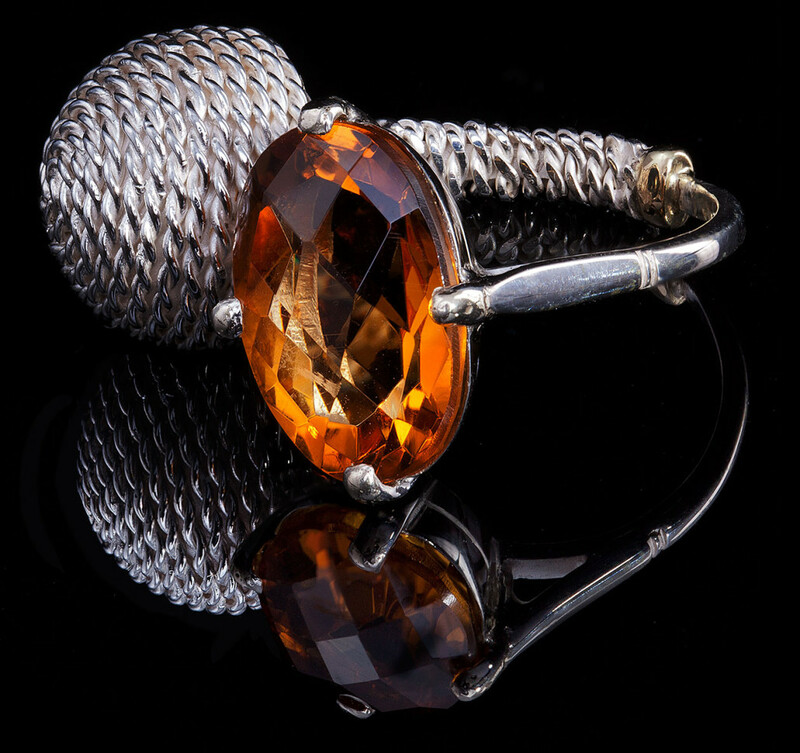 Silver ring, composed of two separate rings, citrine and a small surprise inside the ball! 14 carat yellow gold ring, composed of two separate rings. 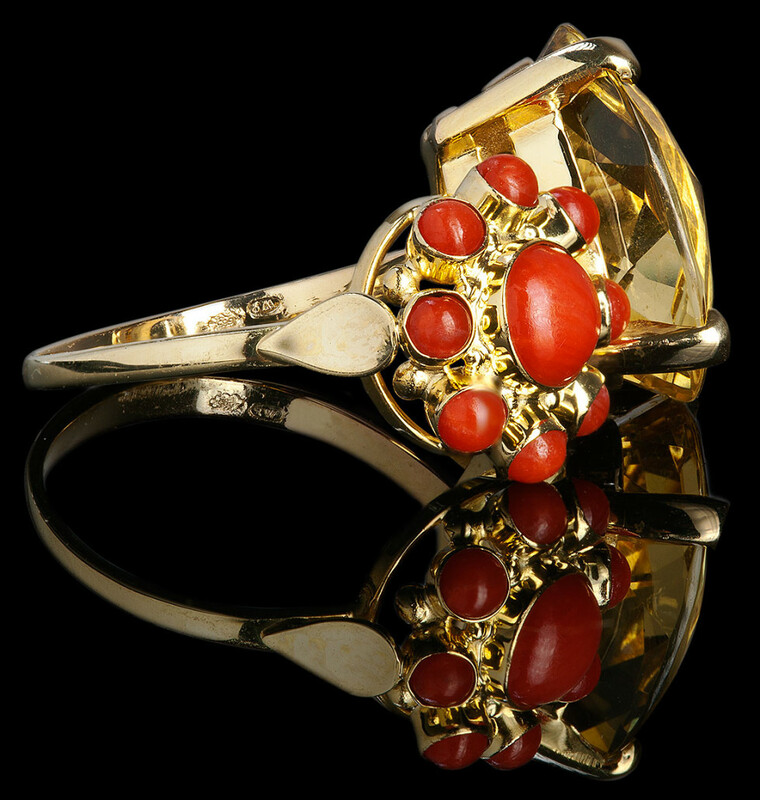 Coral and citrine.